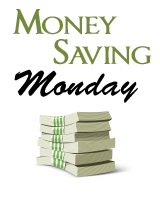 Get a Day-to-Day Credit Card and Make Money! I can’t really argue his point as we have all encountered a moment in our lives where we really wanted something and couldn’t afford it. This is how credit cards can burn a hole your wallet and allow you to spend in a heartbeat. You sign the credit card receipt before you even realize that the item you wanted is now yours hahaha”¦ while the evil debt is growing out of control! However, I am a big believer of using systems to your advantage. Instead of playing the banks’ games and pay ridiculously high interest rates on their credit cards, I have decided to keep banks’ board game but set the rules differently. I am looking for a reward credit card with the highest payback and use it everyday! I actually use my credit card for all daily expenses that would normally be paid with cash or my debit card. No extra, no “rewarding myself because I deserve it”, only normal daily expenses such as gas, groceries, phone and internet bills. There are tons of bills you can set with automatic payments. Since you have to pay for your phone, cable and internet anyways, do it through your credit card in order to earn points or cash rewards. There are 2 absolutes in your spending: you need to eat and pay for transportation. So why not leave your credit card in the drawer and take it with you only when you go to the pumps for gas or the grocery store, buy your bus pass/tickets at the same time!). Combining a few utility bills, grocery and transportation costs, you will most likely spend about $1,250 per month. This is $15,000 worth of points on your credit cards in one year with stuff that you had to buy anyways. This is a free rebate thanks to your credit card! I personally use my credit card for any purchase (from my $1 coffee to my cash deposit on a new car). I ensure that I pay my bills in full every month. If you are not yet comfortable enough managing your credit cards, you can use my 2 tricks and avoid making unnecessary purchases. Double cash rebates at participating retailers and merchants (through the Cashback Bonus® award program). Through the reward program, cardholders can earn a 5% Cashback Bonus® in categories such as travel, gas, restaurants, movies, and more. Cardholders also earn up to 1% for general purchases and .25% for purchases made at select warehouse clubs and discount stores. 0% introductory rate (6 months). Through the rewards program, cardholders earn double miles on up to $3,000 in travel and restaurant purchases and one mile for every dollar spent on general purchases. Earned miles can be redeemed for airfare or reduced airfare on most major U.S.-based airlines with no blackout dates. Miles can also be redeemed for gift cards from 50 brand-name partners or cash. The reward program allows cardholders to earn a 5% Cashback Bonus® in categories such as travel, gas, restaurants, movies, and more. In addition, cardholders can automatically earn up to a 1% Cashback Bonus® on all other purchases. Low APR for those who qualify. 1% cash back credit on all qualifying purchases. No yearly limit or expiration on rebates. 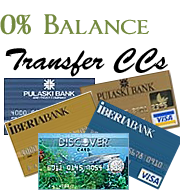 In order to get other cash reward credit cards click here. Which is better: Cash backs reward or points? I understand your position. However, when you use a credit card the merchant has to pay (Visa, Mastercard, etc) about 2% of the amount charged. This cost is going to be passed on to the consumer. Remember when gas stations use to have 2 different prices depending on if you paid with cash or credit? Now the gas stations charge everyone the credit card rate. Credit cards are convenient but that cash back stuff is not free. We are all paying for it with slightly higher prices. Credit cards are here to stay but we pay for the convenience and the Visa/Mastercard companies are benefiting. Billy, you are correct, but I need to point out (this is not my article) that if you pay cash, you are still paying the cc fees. I don’t like it any more than you do, but if a person can control their credit card, you can get at least a small portion of these fees returned to you. I agree with Stew, unfortunately, everybody is paying the same price. Credit card fees have been included in any merchant business model as most people will either use their bank card or credit card to pay. I rarely have more than $20 on me since I always pay with my credit card. This method can work, but it can also be easily abused. I don’t like the idea of putting groceries on the card. Yes, they are a necessity, but it’s easier to overspend. Go to the grocery with a cash budget and you’ll spend a lot less than you would with plastic. As for the gasoline and phone bill, and things like that, go for it if that’s what works for you. Kacie, I agree. We do not put groceries on a cc – hmmm . . . post idea. I did this last year … put big purchases on the card, paid it off w/in 10 days and cashed in the reward points. Once the cc issuer cancels their rewards program, would it still be a good thing? It would actually be interesting to have both point of view on the same blog ;-) This would probably help readers to decide whether they should use their credit card for grocery or not ;-D Can’t wait to read your post! the CC issuer will never cancel their reward program. In fact, even though they make a lot more money if you leave a balance on your card, they make most of their revenue from the transaction fee imposed to the merchant (around 2% fee on each transaction). I like using my credit card that gives me 2% on all of my purchases. I use it for all of my utilities and to pay my auto and homeowners insurance in full. So far, I’ve already earned over $100 in free money for making purchases I had already planned to make. Great idea. I really think that like all things related to personal finance, it is always related to discipline. There is no doubt that you can get more for your money through credit cards, but if you feel like you will not be able to buy what you would have bought without credit, then you have your answer. Well, that explains a lot. I had lost touch with this blog and noticed something was different…. Thanks for filling me in, and thanks for the terrible advice. Seriously, it’s not a game, and you’re not winning. Despite that super-fantastic 1% they gave you back, you just spent – on average – 8-12% more since you used plastic. Not to mention the fact that you went out and bought that whosits brand new, at retail. You just paid the absolute most you could have possibly paid for that item, including the additional overhead for the credit card fees. You didn’t buy it used (not so many garage sales taking plastic), and you didn’t (heaven forbid) go without. Now before we get the long string of ‘but this’ and ‘but that’ interspersed with the word ‘responsible’, let us also address the core issue here – behavior. As if the math even worked, the real problem is the money mis-behavior that this encourages. Rewards – for spending money. Because these folks are just so introverted that they flat out are unable to spend money and need a little encouragement. Give me a break. If you are chasing rewards, then you are playing a losing game. You are not looking for the best price, you are not delaying or forgoing a purchase. A far better goal is the money saved by NOT shopping. The returns are much better too. Terrible advice? Tell me, who controls your body; your brain or your Mastercard? You are telling me that I encourage people buying new instead of used. Now if you know where I can buy used internet services, used gasoline and used food, let me know! I am suggesting to put things that you have to buy anyway on your credit card, not extra stuff! Are you really going to put more gas in your car because of the way you pay it? talk more on the phone? I don’t think so. #4 pay the credit card every month in full. – Going to the movie (including popcorn) for free several times, etc. I even get my toaster and my phone free from my rewards points! (ok, those you can buy used!). Telling this is a terrible advice is like telling people they should not drive their car: after all, your speedometer shows you can drive up to more than 120 mph… do you HAVE to do it? It is the very same thing with your credit card. Both your car and your card can be tools of massive destruction. However, if they are used carefully, they can do a lot for you! Mike, great point about not being able to buy a lot of services or products used. I agree – most purchase amount are independent of the purchase method. What’s this “Since I bought this blog…” comment? 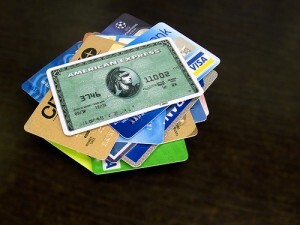 For me it is a shame that you are shifting the blog’s stance on credit card. I agreed with Larry that not leveraging your monthly money cash flow is the best way to gather little by little. It feels to me that most folks of our generation has been bought by the marketing gimicks of the lender. There is a difference between telling people to waste money through credit cards and to save money with a transaction tool. You have 2 options: either you pay your gas, phone, cable and internet cash and to don’t make a penny out of it or you take your rewards credit card and earn a few hundred bucks every year from this strategy. This is also part of gathering little by little. @Gholmes – I hear ya. I was this | | close to writing a blog post about this site dying little by little, but it was too much of a downer. @Mike – I’ve read this theory time and time again. Unfortunately, credit cards are not tools – shopping is not a mechanical action – people are not machines. step 3 – spend some time with the Mrs. But then you got all this stuff with your points! Sweet, sweet points. Consumer Reports shows most of those never get redeemed before expiring. But that’s ok, we’re talking about $1000 in paint (you can buy that ‘used’, BTW – Habitat Re-store), I’ll generously guess $100 in zoo tickets plus another $100 for the movies (he did include the popcorn! ), and another $100 for the toaster and phone (I’m sure they are quite nice). So $1300 in a year for spending how much on that card??? You could have bought that car used and saved that amount with your eyes closed. It’s a lot of wasted effort, with your eyes on the wrong prize. I know, I know you never buy extra stuff. As if. Again, once the focus is on credit card rewards, you’re playing a losing game. And that’s not to say that you’ll incur interest by doing it. The Mrs. held a rewards card for 8 years – through the years when very few get by without debt, college. And she never carried a balance, never paid interest. Yet we shredded it just the same. Overspending =/= debt. But the encouragement to spend and spend often results in all those $1 coffees and indiscretions at the grocery store. Don’t tell me you’re not spending more by using plastic, new-car-breath. Oh, yeah, then just pay the card off at the end of the month. This line used to be such an easy sell in the blogosphere. But then 2007 hit and the economy tanked. Tell this to the folks whose jobs were cut unexpectedly. It was probably an easy sell before then, but then 2001 and the dot com bubble burst. Tell this to all those young techies who showed up to work to find the doors locked for good. The core issue here is this: shortsightedness. Not only the assumption of having the money come next month, but also the intricate machine required to make all this work. It just takes one piece to break, one gear to fail, one slip – maybe out of your control – to bring the whole system down. It assumes the best case scenario every time. That’s not to say it can’t work, but ask some of those folks that took 10% pay cuts about paying all the bills the next month…. I could probably keep going. But I shouldn’t. We could extend this credit card theory on both side for a long time. I am not saying that I never buy useless or unnecessary stuff. I actually do waste money. As most people do. However, I never overspend. So regardless of which method I use (cash, bank card or credit card), I will still end-up with no pending debts at the end of the month. This is why I use my credit card for every single purchase. Hence, I have figured I would be better off making a few extra bucks while spending this money anyway. If I ever lose my job tomorrow, I would have a 1K-2K balance on my credit cards and 1-2K in my bank account sitting there to pay it. So I would not have a dollar owed on my card at the end of the month. Then again, if you can’t spend according to your budget, don’t apply for a credit card. But that won’t solve your initial problem; sticking to your budget. There are million other ways to overspend without a credit card (getting a big mortgage for example). Should a person aiming for financial freedom look towards owning a Credit Card whether it has rewards yes or no. I think not. Credit Cards are the monster that is holding us back towards that goal. It is better for one to have a budget and stick to it. Purchasing all in cash and only purchase things that are necessary. Credit Cards are debt and debts should be eliminated from one lives. I have been using my credit card for all grocery, transportation and bill payments for some time now and I have to say it has worked well for me. However you should emphasise more that discipline is the key. Its imperative to pay back the full balance every month. Credit unions and other cooperatives can be of great help these days and found the services or benefits it offers meet my needs.I have really enjoyed reading your posts about Credit cards. Thanks for all you do and share.